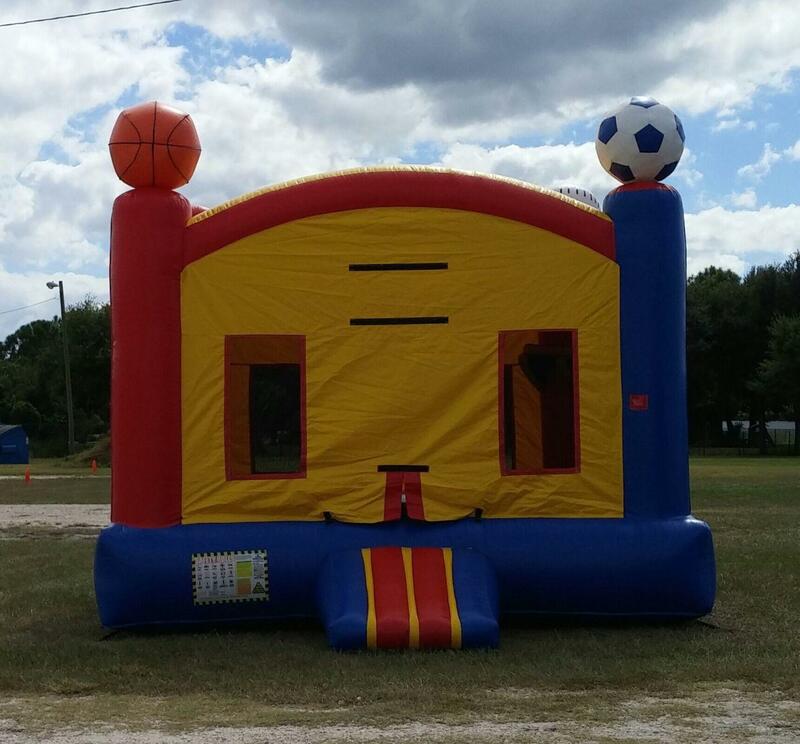 15x15 Sports theme bounce house will make any event a bouncing good party. All the sports balls are displayed on top of the jumper and has a basketball hoop inside of the bounce area for twice the fun for everyone. This one is a big hit with all community events in Dundee, Haines City and all surrounding areas of Polk County Florida. All of our inflatable toys are delivered on time, clean and with the best customer service in the area.